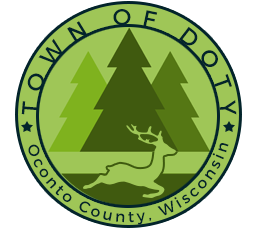 The April Town Board Meeting will be held on Tuesday, April 16th at 6:00 p.m. with the Annual Town Meeting to immediately follow – at the Town of Doty Hall, 14899 County Road T, Mountain, WI. The Recycle Center will be closed Wednesday, January 30th, due to inclement weather. Please check the road sign, in front of the Community Center, for the most up-to-date information, as well as this page. 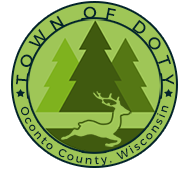 Clerk/Treasurer’s Office will be open Monday, December 31, 2018 (New Year’s Eve) from 2:00 p.m. – 6:00 p.m. to collect/process your tax payments.